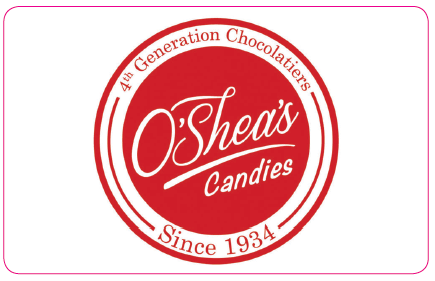 If you are not sure of what type of chocolate to purchase for a gift, then O’Shea’s Candies Gift Cards are the perfect choice! Until further notice, gift cards can only be used in our retail stores or for phone orders only. They are not redeemable online.